In the wise words of Ibn al Qayyim, “remember that the heart which is journeying to Allah is like a bird, with love as its head and fear and hope as it’s wings. The three put together shape not just our lives, but the days that make up our lives”. So before your embark on this personal and spiritual development journey, keep the wings of love with a tinge of fear (the ingredients of taqwa) and hope spread open so you can soar high in shaa Allah. 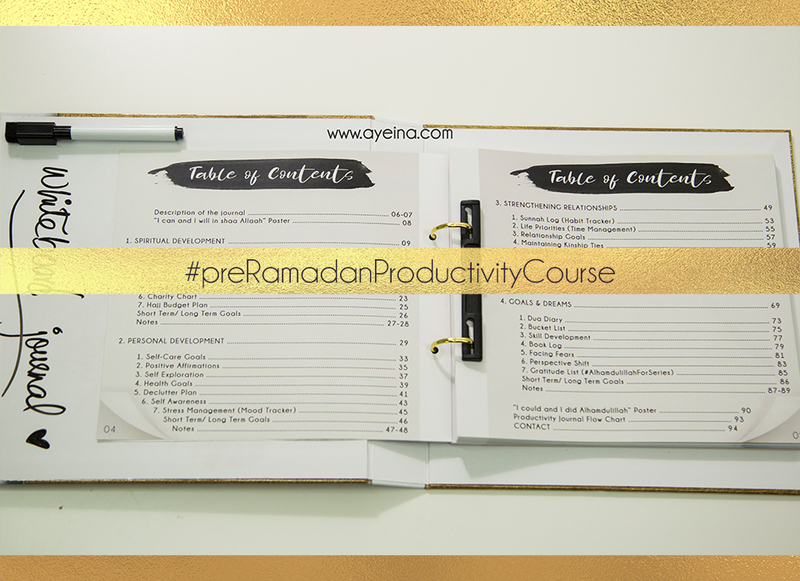 Pre Ramadan Productivity Course is a set of 28 challenges spread throughout a span of 7 months (4 weekly challenges each month) to help you in your spiritual and personal development journey, before Ramadan – so when you enter the blessed month, you may experience it as a brand new Muslim in shaa Allah. May Allah help you learn how to manage your priorities and intentionally engage in your own life through this free course. Month 7 Challenges – Memorizing Adhkaar to Turn them into a Daily Habit, Practicing Positive Affirmations, Dawah Plan and Keeping a Book Log to Encourage Yourself to Read More. In 2018, we will be starting #preRamadanProductivityCourse in September and end it by the month of March 2019 in shaa Allah. 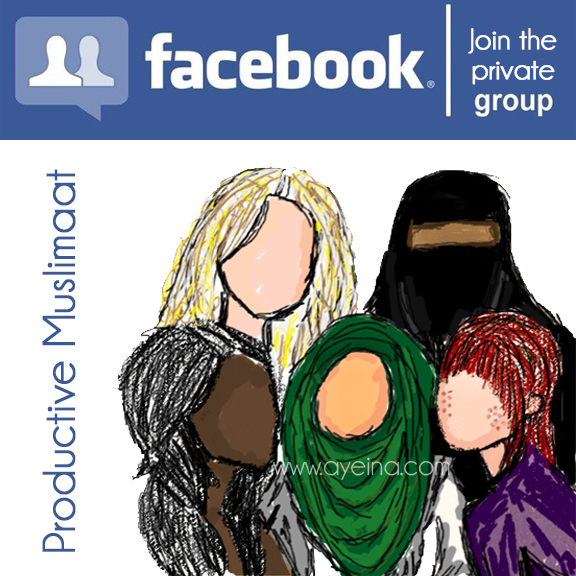 We have created a FB group “PRODUCTIVE MUSLIMAAT” on women’s popular demand and will be welcoming a speaker each week to speak on the weekly topic (very casually) and discuss with all of the ladies in the group. You can collect your questions in advance or ask in live sessions. But this will be fun I tell ya! Because abundance is in togetherness. P.S. 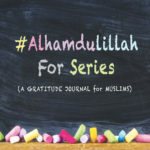 If you will be reading this afterwards, this is where you will find how to start in shaa Allah as a detailed guide/course on the PRODUCTIVITY JOURNAL FOR MUSLIMS – although you can choose any topic in any month or week, this is simply how we did it and we hope that it helps make things more clear and doable for you too in shaa Allah. 1) Believe that you CAN! Work slowly but steadily towards your goals taking small achievable steps. Tortoise wins the race. Reach better productivity and joy at your own pace. It’s about YOUR productivity. Not what others are doing. If you think you can’t, then probability of your success lowers greatly. Positive mindset is the key here. Positive shift in one area will eventually cause changes in other parts in shaa Allah so trust Allah and lets do this! Habit change is hard, so rather than leaving it up to willpower, let’s use writing to help us break the bad habits and cultivate the good ones. #preRamadanProductivityCourse is based around THIS PRODUCTIVITY JOURNAL but you are not required to buy one to be able to do these challenges with us. 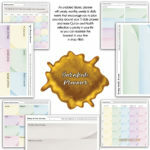 It is simply to make your job easier with pre-made templates and prompts to help you figure out what you want in life and how to achieve it in shaa Allah. Nothing happens by accident. Plan plan plan. Try to device a plan with your accountability partner if you have similar goals. Brainstorm ideas and see how both of you can work best on yourself while working with each other and checking up on each other daily or weekly (whatever is most feasible for both of you). Try to focus on one challenge until you are done. If it’s a big project for you, break it into smaller goals. So even if you are not able to fully achieve your goal in the weekly challenge, you should be able to device a plan for yourself that you can carry out in the coming weeks, months or years (however fits you best). 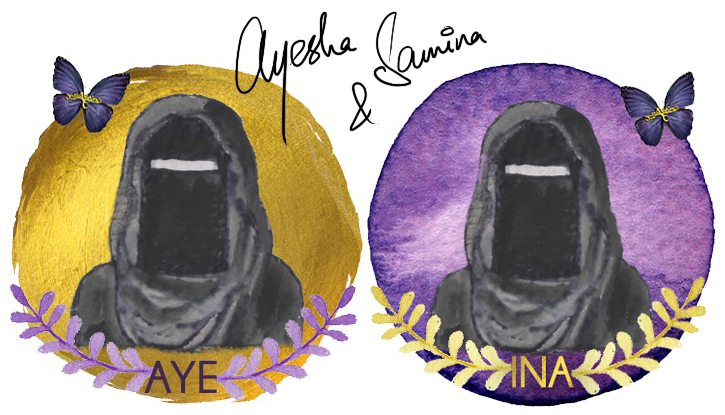 A different plan may work for each individual so never hesitate to reach out at submissions@ayeina.com so perhaps we may help you figure out your plan in shaa Allah. 1) NEWSLETTER – you sign up for the weekly emails in which we introduce the challenge of the week and a brief action plan. (Please note that we purge our email list often (if people don’t open their emails for 2-3 months straight) since it’s costly to send emails 🤪). If you want simple weekly reminders and content to read (related blogposts), then this is your platform. 2) INSTAGRAM – we will do 3 posts a week for each challenge and rest will be on stories in shaa Allah. If you’d like to know our personal experiences with each challenge then IG is the place you follow us. It is the summary-of-all kind of a platform for us. 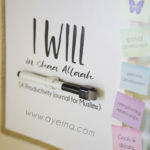 3) FACEBOOK – you may either take on the challenges yourself and see the posts we publish on our FB page daily (blogposts, relevant shares, #iwillinshaAllah and #AlhamdulillahForSeries posters etc). Or you can join the FB group “Productive Muslimaat” (if you’re a woman) and be really invested in this course. FB group is for those who want a community support to keep going 💪 It’s a private community of Muslim women who want to lead a productive life in this world for a better aakhirah in shaa Allah. 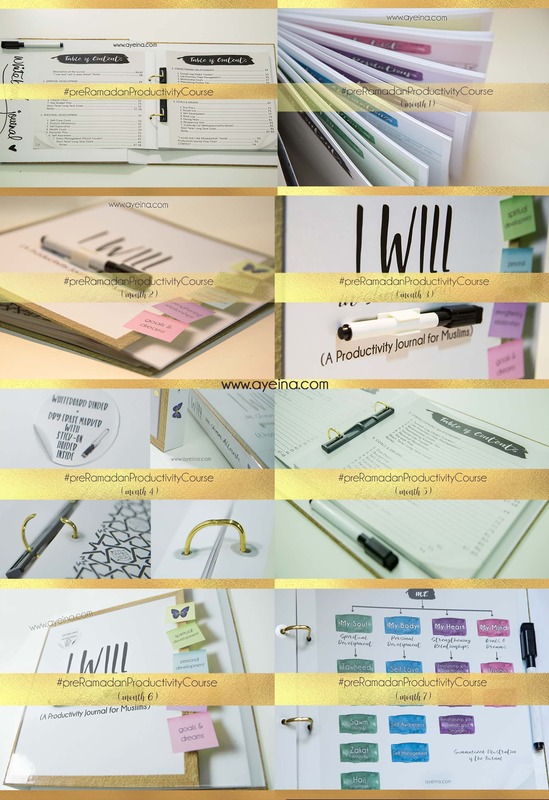 The group has been created to serve as a forum to connect Muslim women who want to go through the free #preRamadanProductivityCourse – which is a set of 28 challenges spread across 7 months (4 (weekly) challenges each month) to help you in your spiritual and personal development journey, before Ramadan – so when you enter the blessed month, you may experience it as a brand new Muslimah in shaa Allah. It doesn’t matter what race, culture or status you belong to, no matter what corner of the world you live in, if you have a desire to improve yourself, this group will help you in your self-help journey. And it won’t only be us running it. ALL OF US will be in this together at the same level. May Allah help us all benefit from each other. 1) #MuslimsCollab thread for you to find an accountability partner – a sense of community, friendship and learning. 2) Resources threads each week (where you’ll be allowed to promote your relevant products or services) – a dedicated thread will help people not spam the group with ads. 3) Struggle threads each week – this will be a place for raw confessions – Struggles you have with the challenge of the week. It will hence serve as a place to give and receive mutual support so we can empower & help each other in need so Allah can help us in our need iA. 4) Real life productivity tips on the said topic of the week – useful tools, advice or experience etc. 5) WEEKLY LIVE SESSIONS by amazing Muslimaat. This will be a pretty casual thing! As if we all are sitting across the table talking to each other! Laughing (probably even crying (I know I’ll be that person 🙋🏻) & taking notes. Join the FB group here to see all the weekly FB lives by diverse Muslimah bloggers/entrepreneurs/speakers etc. in the span of 7 months (starting from September 2018 in shaa Allah). Feel free to repost/share the image to invite your female friends, audience and family members before the course starts in shaa Allah. MashAllah, this sounds like an exciting course that I should try out. I have both your gratitude and productivity journal. Being a visual person, the art in both journals has touched my heart, and encouraged me to work more on them. This course is a wonderful way to use the journals even more. The long time frame and the focus on one category each month helps make it seem less overwhelming, and more manageable. Bless you for all the effort you put in to help all of us here in the community. I hope this course would help me find a balance in my personal and spiritual life. Mashalla, great idea! I look forward to the challenge! This looks well thought out and well put together, the planners look good too. Finding your accountability partner is a great tip. If you’re Lucy, you need an Ethel ;D.
Such a great article and very encouraging and challenging indeed. Your advice will surely help a lot. Jazakillah!